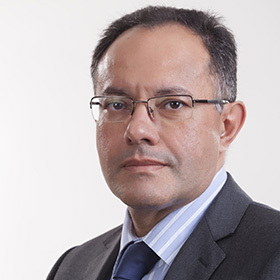 Ziad Oueslati is the MD and co-founding Partner of AfricInvest the first PE fund management company in the Maghreb and one of the leading players in Sub-Saharan Africa. Mr. Oueslati participated to the structuring and raising of several investment funds targeting the Maghreb and Sub-Saharan Africa totaling about US$ 800 million. He is a board member of several companies and has structured over 50 investments in Africa in several industrial and service sectors. Between 1990 and 1994, Ziad was head of the Financial Institutions and Capital Markets Department at Citibank, Tunis, in charge of a US$ 300 million portfolio. Mr. Oueslati is a graduate of the Ecole Nationale Supérieure des Mines de Paris, France and holds a Master of Sciences in Technology and Policy from MIT, Cambridge, U.S.A.